Barbara Silkstone “is the best-selling author of both Regency Pride and Prejudice variations, including the popular the Mister Darcy Series of Comedic Mysteries, and Pride and Prejudice contemporary variations. All her books are light comedies based on Jane Austen's timeless tales of love denied and love discovered. 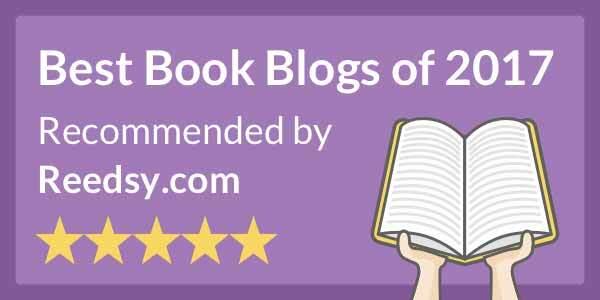 ‘Feel good’ tales to warm your heart. Please check out Ms. Silkstone’s website, Second Act Café, or follow heron Facebook. This series has been fun and educational, as long as you didn’t know Queen Victoria’s history, which I didn’t. Ms. Silkstone’s facts at the end of the stories interested me. She took liberties and inspirations with her other characters. Also as I understand this was always meant to be a trilogy. So, unless Poppy Throckmorten refuses to leave the author alone, this is the end of the series. Florence Nightingale, Poppy, and Mrs. Throckmorten are all back at Buckingham Palace to witness a renowned psychic from Russia, Madame Tchotchke, to pronounce whether the Averoff emerald is cursed or not. The emerald is supposed to fund Florence’s dream for Nightingale School for Lady Nurses in England. Dr. Carbuncle started a rumor that the emerald is cursed to cover his guilt over his wife’s death in Athens, Greece. This nasty rumor has spooked potential purchasers of the emerald. There is a new coroner at the palace that keeps making passes at Florence, who could care less. Especially since she is hard at work trying to solve the latest death inside the palace. Florence feels like the coroner has misruled the death. Tension near the conclusion of this book is heightened beyond any of the other stories in the series. I was sitting on the edge of my seat. Ms. Silkstone packs a lot in this novella. Not a word is wasted. And I was left with a smile on my face and a happy heart. Well done, Ms. Silkstone! I generally don’t go for historical fiction, however, I am pleased with how this series is written. Each character is well rounded and true to themselves. Plus it was all just downright fun and entertaining. 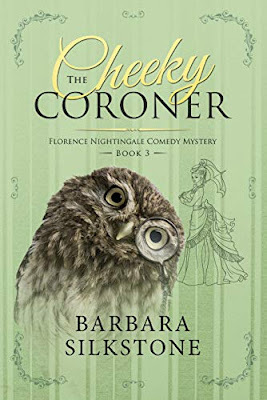 The Cheeky Coroner is book 3 in Ms. Silkstone’s Florence Nightingale Comedy Mystery series and is novella length. Following book 1, The Giggling Corpse and book 2, The Killer Corset.